Next step is to force Outlook to load the add-in, even though it is performing slow during Outlook loading time. 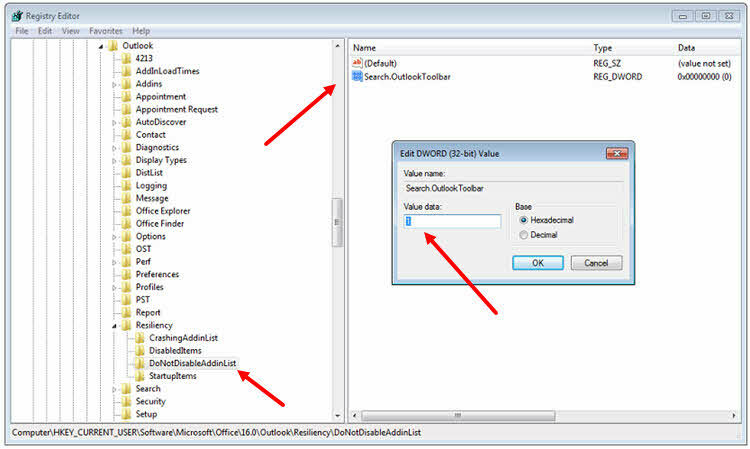 For this, navigate to the registry path: HKEY_CURRENT_USER\Software\Microsoft\Office\16.0\Outlook\Resiliency\DoNotDisableAddinList and create a DWORD registry KEY. Give it the same name of the add-in that you copied from the previous section. 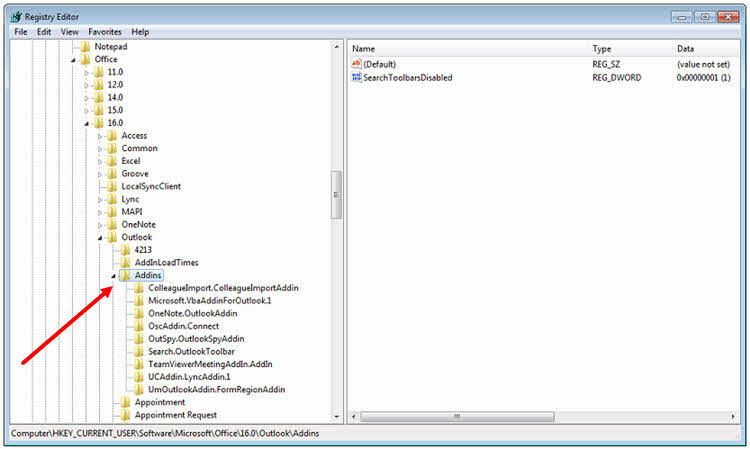 The following screen will be shown with the list of add-ins, which contains the add-ins having performance impact and/or forcely loaded by Outlook. 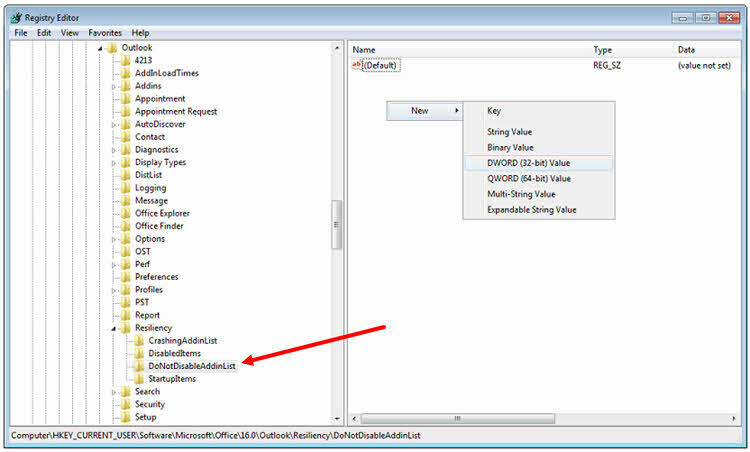 The add-in that you have added to the 'DoNotDisableAddinList' registry key, will be listed here as 'Always Enabled'. 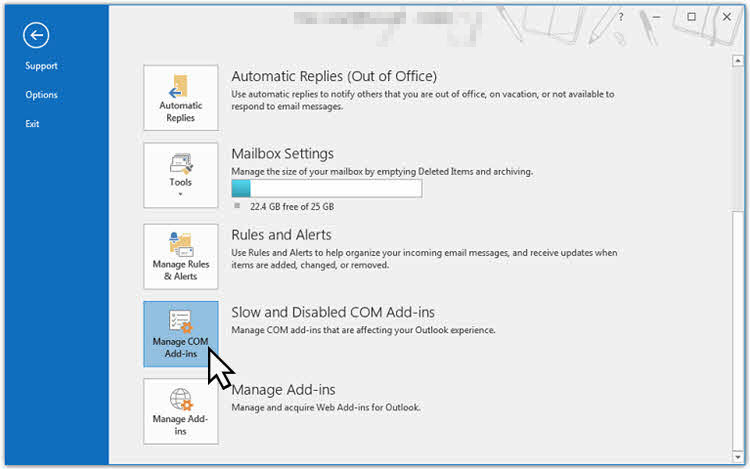 I hope that the post was helpful and would give you the basic understanding to forcefully enable Outlook to load an add-in even though it is performing slow during launch. Based on this, you can now programmatically configure this settings to always load a specific add-in. If you have come this far, it means that you liked what you are reading (How to force an Outlook Add-In to load always? ).